The Calypso Online Fish Bookshop, Formed 1999, sells books ( and a few related identification guides ) on fishes and exclusively fishes.We stock specialist titles for aquarists, fishkeepers, ichthyologists, divers and angling fishermen. 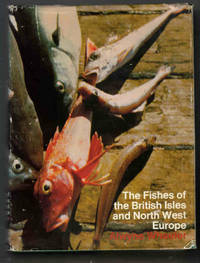 We are a specialist service run by fishkeepers, anglers and diving biologists.Whatever you need we are sure we have a fish book to suit most requirements - from start-up children's and nursery titles through to many easy-reading and coffee table books and on to the advanced scientific side of things. ( not forgetting specialist titles for the aquarists , fishkeepers, divers and fishcatchers).All proceeds from the Calypso Online Fish Bookshop go to support the FishOrphans rehoming and relocation scheme which is a U.K. based charitable organization The vast majority of our book stock is either new or high quality second user, Some of the rarer titles do show signs of use with us prior to purchase. We have Over 1,200 Stock titles. 4,200 other unlisted titles are available to order and we operate a Print-on -Demand service for rare titles Are you looking for any titles or subjects in particular? or may be just browsing, Whatever you need we are sure we have a fish book to suit your requirements - from start-up children's and nursery titles through to many easy-reading and coffee table books and on to the advanced scientific side of things.